As a society that loves grain-based foods, you’re probably feeling overwhelmed and confused with the misleading information that’s out there. Common questions I receive daily are – should I eat a gluten-free diet, should I avoid wheat completely, are there any healthy bread or cereal alternatives? People seem to be struggling with the idea of completely removing wheat from their diet and I don’t blame them. Like me, you probably grew up on Fruit Loops, Nutella sandwiches, and Kraft Dinner, and it isn’t easy to re-train your taste buds. Wouldn’t you love to eat natural whole foods 100% of the time? In an ideal world, you would and you would also…never crave bread, pasta or starchy foods. But if you’re like most of us, there are times where you just want to stuff your face with a juicy burger or down an entire Margherita pizza. I don’t know anybody that feels better munching on celery after a breakup. Certain foods bring comfort and it’s hard giving them up completely. Breakups aside, what can you eat on those regular days where you’re dying for carbs and a salad won’t cut it? So are there any healthy wheat alternatives? 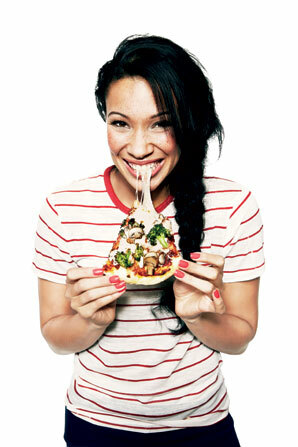 According to Dr. Davis, you should avoid ALL grains in your diet – even so-called healthy whole grains. That pretty much means no bread, no pasta, no rice, no crackers, no anything. Vegetables, vegetables, vegetables, some fruit, raw nuts, healthy fats, meat, eggs and some organic dairy. Did I mention 10 servings of vegetables per day? You can purchase sprouted grain products like wraps, bread, and crackers to kick those carb cravings while you slowly transition to the “ideal” diet. 1) Grains that have not sat for awhile to sprout have phytic acid that can actually keep vitamins from being utilized by your body. Choosing sprouted grains lessens the amount of phytic acid in your diet and ensures that you absorb the most vitamins and minerals possible. 2) Sprouted grains are richer in antioxidants, vitamins B and C than their unsprouted counterparts. These vitamins can help fight disease and cell degeneration. Sprouted grains also have additional enzymes that help maintain a healthy digestive system. 3) You’ll reduce your exposure to arsenic when you use sprouted grains over rice flour. You’ll also find that foods taste more flavorful and less sour when made with sprouted grains. 4) Sprouted grains are versatile. 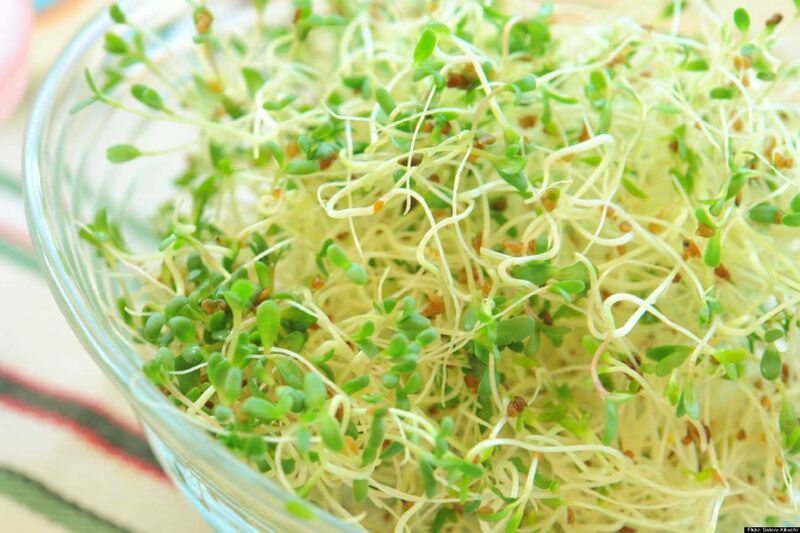 You can use sprouts like alfalfa in many recipes, such as roasted vegetables, omelets and scrambles, and many types of salads. You can even use them as a topping on veggie supreme pizza – that is if you’re still eating pizza. 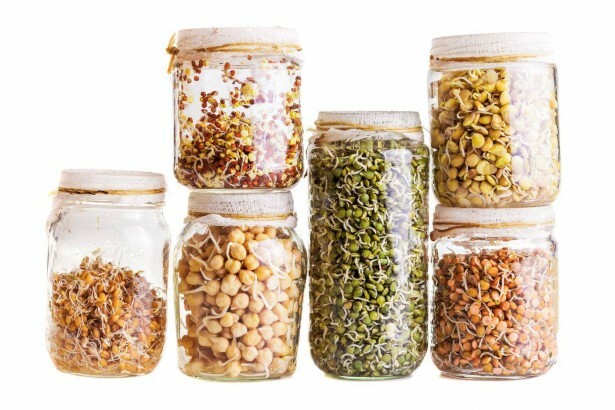 5) Sprouted grains may increase energy levels. If you’re like me, there are days where you feel exhausted at 3pm but would never dare touch an energy drink that’s loaded with ridiculous amounts of caffeine, sugar, and who knows what else. Sprouted grain products provide a natural source of energy without all the sketchy ingredients. In the end, remember that life is about balance. You should try your best to choose veggies and protein over wheat products, but don’t get down on yourself if you don’t always make the healthiest choices. Whether you reach for two slices of whole wheat bread, a so-called “healthier” gluten-free alternative, or a Snicker’s bar, know that they all (pretty much) have the same negative impact on your blood sugars. I’m proud that my days of Fruit Loops and Kraft Dinner are behind me.Unfortunately, I haven’t been able to break up with Nutella. We are all a work in progress. Are You Emotionally Abusive To Yourself?